It has become somewhat of a gospel truth that, in order to appeal to sports fans these days, games have to be (among other things) relatively quick. That is not to say that the sports must be speedy in terms of the run of play itself – though, of course, this helps – but rather that a match cannot last an interminable length of time. Get the game over with, and in under two and a half hours if possible. Of course, there are massive – and massively successful – exceptions to this rule. American football – be it NCAA college football or the professional National Football League – is far and away the most popular sport in the United States, and many matches can take upwards of four hours. If one is actually attending a game, the commitment of time is much greater. And, given that both college and professional football in the US normally involve a significant social component – tailgate parties (or tailgating) – the time commitment can stretch to several days. Similarly, baseball – the most timeless of sports – is looking to speed up. In particular, as this excellent article from Grantland explains, the sport that has no clock – where a game, in theory, could last forever – has introduced time limits, in particular for the time between pitches and the time between innings. The reasons for this are similar to golf, albeit looking at the preferences of the viewer rather than participant. In particular, the idea that a game should be finished quickly, that the pace of play should increase, and that the sport must attract the next generation of fans who, it is supposed, are not used to a leisurely pace in their leisure, are all part of the reason for these changes. Timelessness, and perhaps a sense of stillness, is not conductive to contemporary habits, it would seem. While golf is looking to attract more participants through changing their game, and baseball is looking to appeal to more (and younger) spectators through the introduction of time, cricket has been grappling with these issues for years. Indeed, cricket’s introduction of different forms of the sport – the one day limited overs match, and the Twenty20 three hour bash – have, in some ways, both enhanced and divided the sport, particularly between those looking for a pure representation of the sport (such as exists with long – and multi-day – traditional formats like test cricket) and those looking for a fun, exciting, and enjoyable day or night out. Personally, I am a huge supporter of test cricket and, if I was living in England or another cricketing country, I would almost certainly cast my support behind something like the county championship – with their four day matches – rather than any sort of limited overs competition. 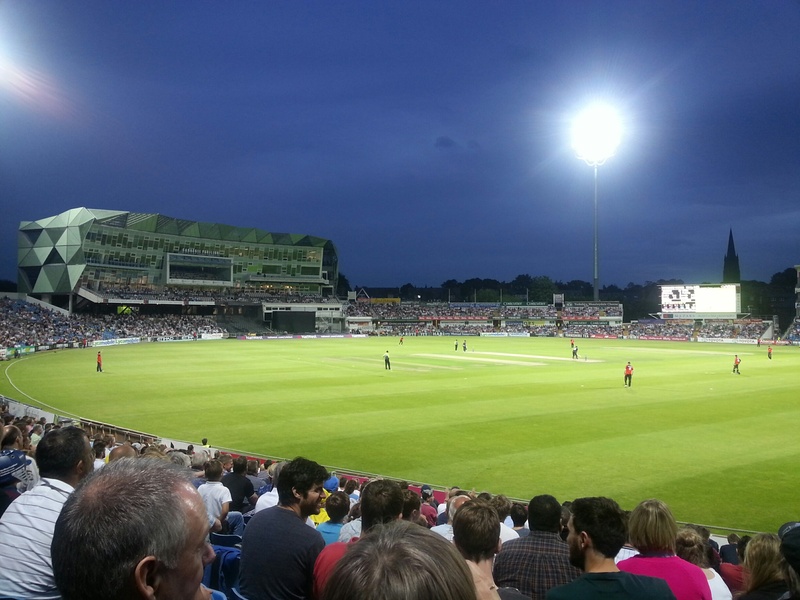 Still, when I witnessed my first T20 match earlier this month at Headingley, I could see the appeal of that form of the sport. Indeed, the ground was full, the weather was beautiful, and the match was truly exciting. Sport – at least in the examples I provided – is a business, and the idea that tradition, ritual, and heritage must bend to the demands of Mammon. Indeed, many of the golf pros I know both lament the potential changes to the sport while also acknowledging that something has to be done to bring people back to the course. In baseball, I understand that viewing habits have changed, and that there is a desire to make watching a game – for lack of a better term – efficient. With cricket, there seems to be more of a balance in terms of time – choose your “brand” of cricket, as it were. But, the great success of, in particular, T20 cricket in virtually every cricketing nation has lead to suggestions that longer forms of the sport are inevitably doomed. However, I wonder if something will be lost if we simply try to appeal to a perception of what non-or-casual participants and spectators want. Indeed, I wonder if one simply “grows” into more leisurely sports. I, for one, have noticed my palate changed considerably in recent years. I simply couldn’t imagine myself at 15 or 20 wanting to watch baseball or cricket, no matter how many rule changes were introduced. But, similarly, now I find that I enjoy the spaces between play that a golf, or cricket, or baseball allows (and for which hockey or cricket or football seeks to eliminate). I’m into the rhythm. I enjoy the silence. I work a crossword puzzle, looking up every minute or so to see the bowler begin his run. A thought assembles in the white spaces. Being here feels like a vacation, not just because the days are free of responsibility, but because they feel so different from the rest of my life. The world is full of people trying to slow down. There’s the slow food movement, a rejection of consumerism and industrial convenience. Knitting, baking, urban farming. There’s yoga. Folk music is inexplicably huge in England again. People are seeking something. Time is important in heritage; age often makes particular legacies more important and, in certain contexts, more saleable. However, the idea of time itself – and how we use it, or at least comprehend it – is often overlooked as a kind of heritage value as well. As Wright says, we seem to be interested in aspects of antiquity – even from the recent pasts – as a way of slowing our lives down; that the choice of inconvenience might actually be a pleasure. Certainly, sports have – and always have – adapted to suit contemporary tastes; Stuart Shea’s recent exploration of the Wrigley Field argues that this historic stadium was, through much of its history, considered rather modern, comfortable, and convenient. That said, perhaps not only its there a pleasure – and, maybe even a market – for slow sports, we have to question whether we can make sport any faster than it already is and, if we do, what would that mean? Do we really want a baseball game to last an hour? Isn’t the pleasure of sport that it is different from the rest of our industrial lives; that we can lose ourselves and feel something of our real selves and the real lives of others in a “day out” at the ballpark, or cricket ground, or golf course? Shouldn’t sport be different? By Gregory Ramshaw in Uncategorized on July 29, 2015 .